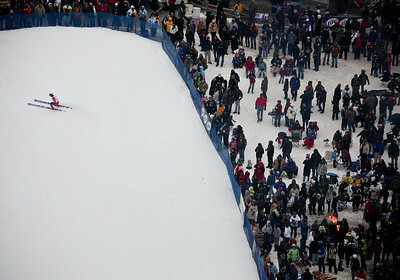 Josh Peckler - Jpeckler@shawmedia.com Hundreds of people watch as Matthew Doyle performs his jump during the Norge International Ski Jumping Tournament at the Norge Ski Club in Fox River Grove Sunday, January 27, 2013. 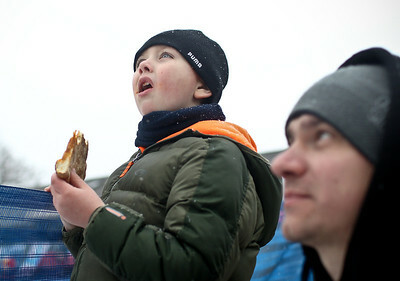 Josh Peckler - Jpeckler@shawmedia.com Ian Paschal, 9 of Crystal Lake turns to a friend in amazement after watching a ski jumper land his jump during the Norge International Ski Jumping Tournament at the Norge Ski Club in Fox River Grove Sunday, January 27, 2013. 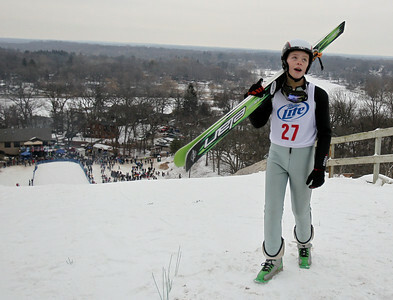 Josh Peckler - Jpeckler@shawmedia.com Hunter Smith looks up at the ski jump before walking up to the launch area during the Norge International Ski Jumping Tournament at the Norge Ski Club in Fox River Grove Sunday, January 27, 2013. 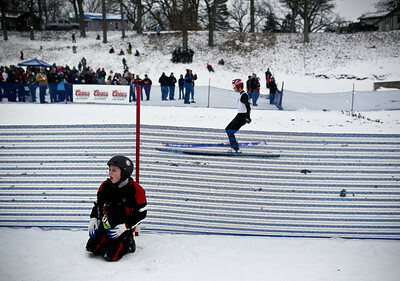 Josh Peckler - Jpeckler@shawmedia.com Jacob Wilk, 5 of Algonquin takes a break from eating pizza as he watches a skier jump during the Norge International Ski Jumping Tournament at the Norge Ski Club in Fox River Grove Sunday, January 27, 2013. Josh Peckler - Jpeckler@shawmedia.com Ryan Johnson flies off the ramp while performing his jump during the Norge International Ski Jumping Tournament at the Norge Ski Club in Fox River Grove Sunday, January 27, 2013. 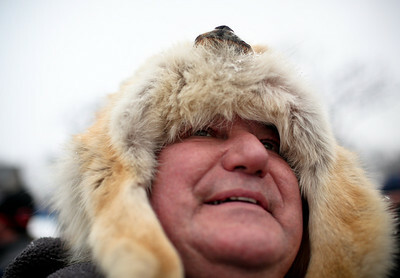 Josh Peckler - Jpeckler@shawmedia.com Stanley Michaels of Mchenry used a coyote skin hat to keep warm as he watched skier jump during the Norge International Ski Jumping Tournament at the Norge Ski Club in Fox River Grove Sunday, January 27, 2013. 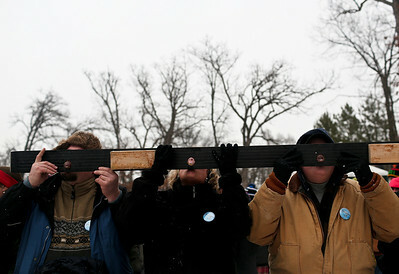 Josh Peckler - Jpeckler@shawmedia.com Spectators take shots of alcohol from a "shot-ski" during the Norge International Ski Jumping Tournament at the Norge Ski Club in Fox River Grove Sunday, January 27, 2013. 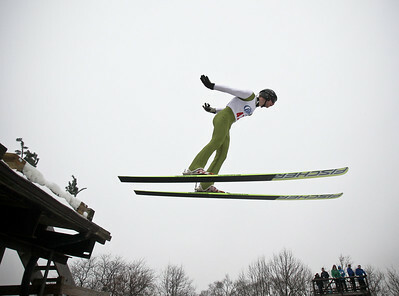 Josh Peckler - Jpeckler@shawmedia.com Luke Daniels flies through the air as he ski jumps during the Norge International Ski Jumping Tournament at the Norge Ski Club in Fox River Grove Sunday, January 27, 2013. 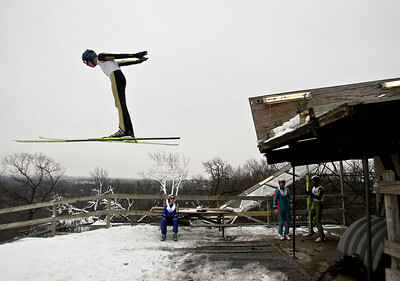 Josh Peckler - Jpeckler@shawmedia.com A ski jumper slows down after landing his jump during the Norge International Ski Jumping Tournament at the Norge Ski Club in Fox River Grove Sunday, January 27, 2013. 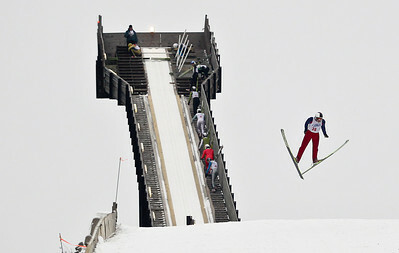 Josh Peckler - Jpeckler@shawmedia.com Andreas Mynre Helleru flies off the ramp while performing his jump during the Norge International Ski Jumping Tournament at the Norge Ski Club in Fox River Grove Sunday, January 27, 2013. 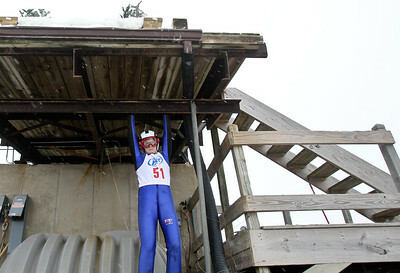 Josh Peckler - Jpeckler@shawmedia.com Caset Larson uses the bottom of the ski jump to stay dry as snow fell during the Norge International Ski Jumping Tournament at the Norge Ski Club in Fox River Grove Sunday, January 27, 2013. 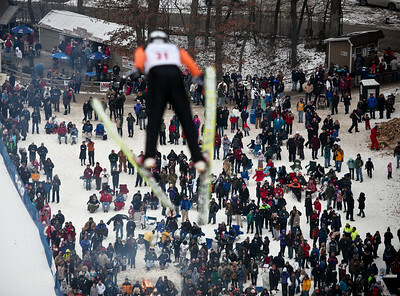 Luke Daniels flies through the air as he ski jumps during the Norge International Ski Jumping Tournament at the Norge Ski Club in Fox River Grove Sunday, January 27, 2013.